Please be advised that we will no longer work on late model vehicles. Our technician will be leaving our shop on 4/18/2019. We will still honor any warranties on prior vehicle repairs. Moving forward we will only work on classic vehicles. Thank you for trusting us with your vehicle(s). We have enjoyed serving your Automotive needs and we appreciate your business! Carl’s Automotive staff. Here at Carl’s Automotive we believe in working to build a reputable business, not JUST another business. 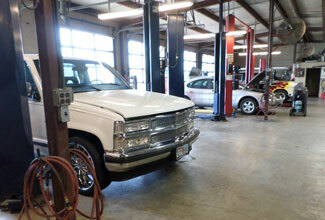 We are a full service auto repair and body shop conveniently located in Red Oak, TX. Our customers have been coming back to us for years and we say that with pride. We repair all automobiles from foreign & domestic to classis and antique hot rods! We love our customers and we want you to leave us with a sense of security. Leave the car repair woes to us and enjoy the freedom of knowing you have Carl’s Automotive on your side to take all of your automotive burdens from you. to have any of our ASE certified technicians take a look at your car today! We do everything cars…..except wash ‘em!